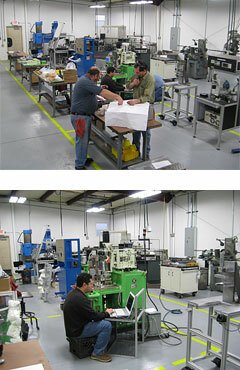 Wilco Automation, LLC renovated its facility in 2010 and added a new CNC machine. We have better utilized the space that we are in, allowing us to have a more efficient workflow for quicker output. Wilco Automation, LLC can produce automation machinery, test equipment, jigs, fixtures, and gauges. Whether Wilco is building something to test pumps and motors for performance or creating something for the assembly of multiple components, we can make a machine to handle whatever you need. As part of our turnkey operation, Wilco Automation LLC, can custom build semi automated, fully automated, or manually operated machines to meet your needs. We can offer fully designed machines or build to your designs.